This year marks the 50th anniversary of the Summer of Love that transformed the cultural fabric of San Francisco during the 1960’s. 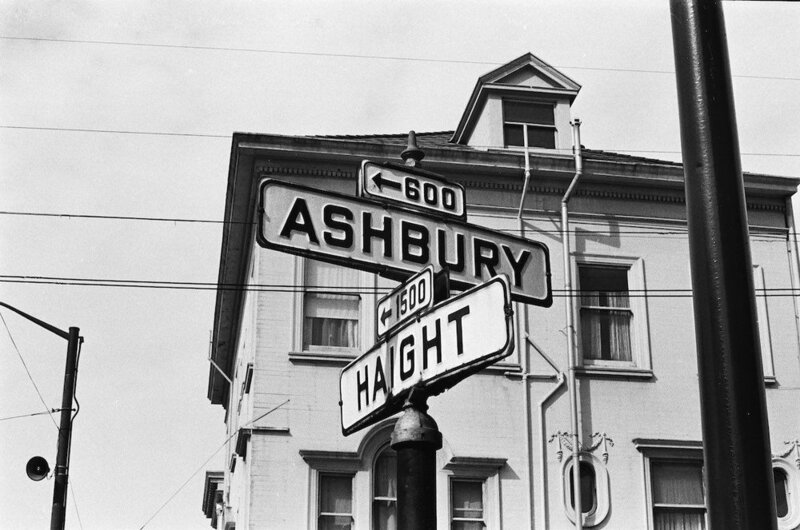 Over the spring and summer of 1967, nearly 100,000 people flocked to the iconic Haight-Ashbury neighborhood chasing the cultural revolution that exploded with psychedelic art, poetry, rock and roll, flowers and free love. 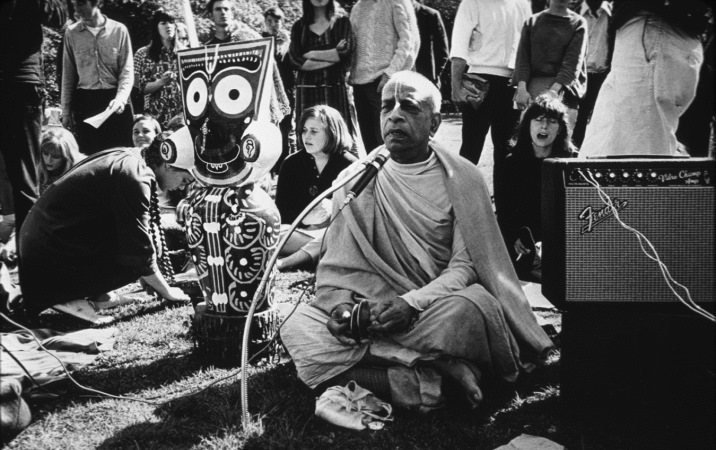 The precursor to the Summer of Love was the Human Be-In gathering, which was held at Golden Gate Park on January 14, 1967 and produced by a Los Angeles artist, Michael Bowen. The celebration drew crowds of an estimated 30,000 in response to a new California law that banned the use of LSD after a number of “mind control” experiments by the CIA concluded that the drug actually had the opposite effect. But at this point, the Human Be-In had already set the stage for the revolution that transpired throughout the Summer of Love of 1967. These influential months promoted ideals of personal empowerment, communal living, ecological awareness, higher consciousness, acceptance of psychedelic use, and radical liberal political values. Just across the ocean, the Vietnam War was reaching its peak as enlisted soldiers reached an all-time high. The San Francisco Bay Area was often the last stop for servicemen before departure and anti-war sentiments ran high. 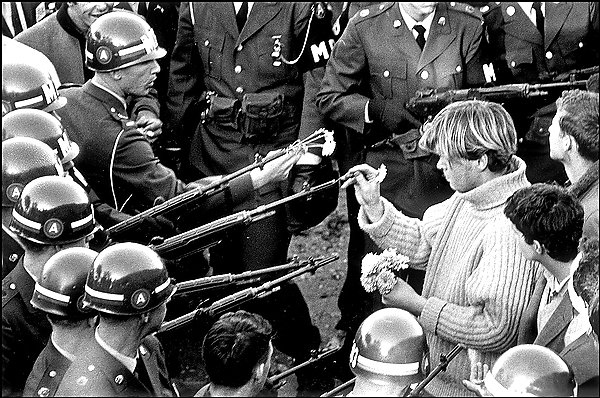 Protestors were often flooding the parks or the streets carrying signs that read “Make Love, Not War.” The flower power movement was strong and residents were often seen passing out flowers to demonstrators if they weren’t actively participating themselves. Rock and roll artists and 'acid rock' took hold as free-form jam sessions became mainstream counterculture. 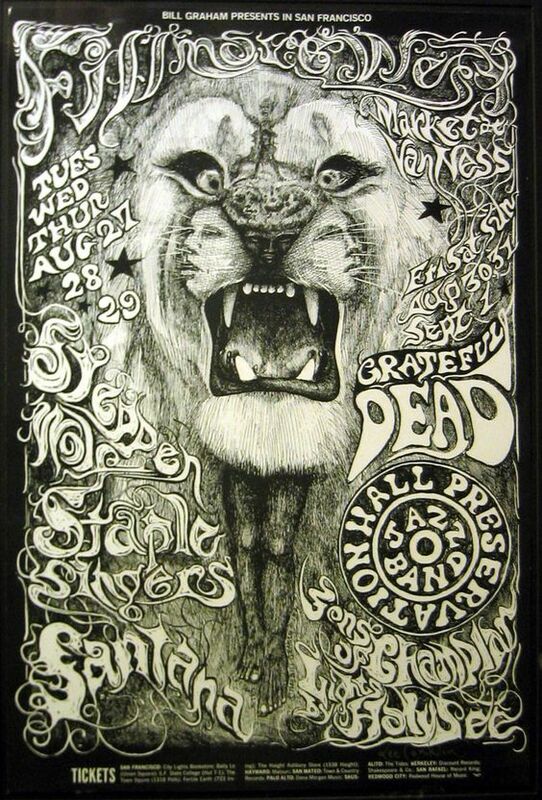 There was rarely a weekend that you couldn’t catch the Grateful Dead playing a show at one of Ken Kesey and the Merry Pranksters’ Acid Test parties, where LSD was dispersed and you received a diploma if you participated. Ken Kesey was a former volunteer of the Stanford-based, CIA-sponsored LSD experiments, which later inspired him to write the novel, 'One Flew Over the Cuckoo’s Nest'. Vibrant, multi-colored artwork inspired by the use of psychedelics coursed through the streets of the San Francisco Bay Area. Some of the most infamous pieces were hand-printed posters that advertised parties, events, concerts and other gatherings. 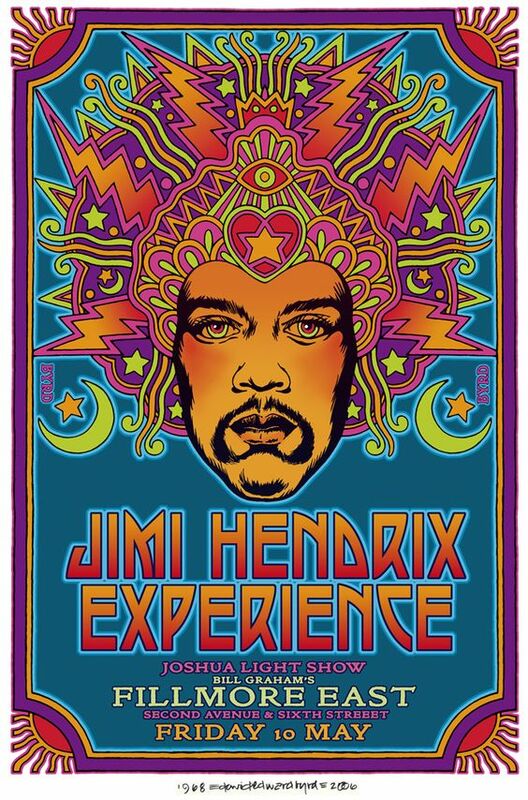 Artist Wes Wilson was responsible for creating most of the psychedelic concert posters that were used by live music promoter Bill Graham. Wilson is most known for his invention of the psychedelic font in 1966, which made letters look like they were moving or melting. This style of artwork became synonymous with the 1960’s era and in 1968, Wilson received a monetary award from the National Endowment for the Arts for 'his contributions to American Art.' Wilson is considered to be the true pioneer of the psychedelic poster scene and was later profiled in major magazines such as Life, Time, and Variety. 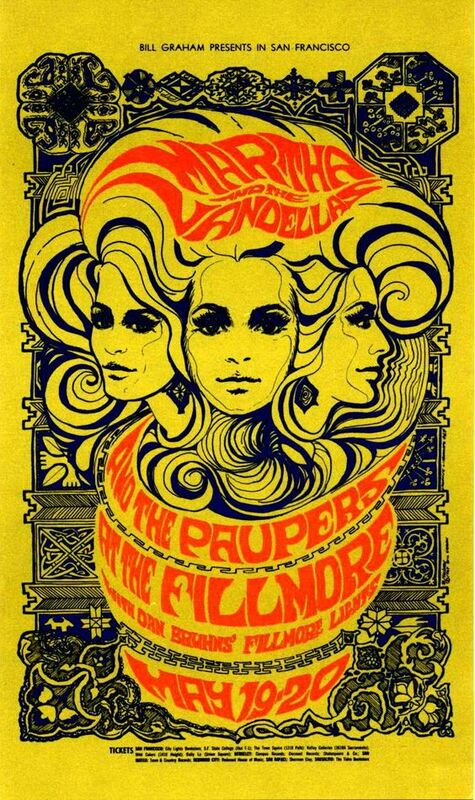 The Fillmore was one of the most iconic venues during this period where the art and culture of the day was exhibited and could be experienced in all its glory. As the Bohemian community grew in popularity and became a widespread social phenomenon, The Fillmore became a hub for the hippie and counterculture revolution where creativity flourished and burgeoned. Bill Graham gained his notoriety as a promoter of note for that period by hosting a variety of artistic events and experiences at the Fillmore the endlessly flowed with creativity and contributed towards making San Francisco the hip capital of the world at that time. 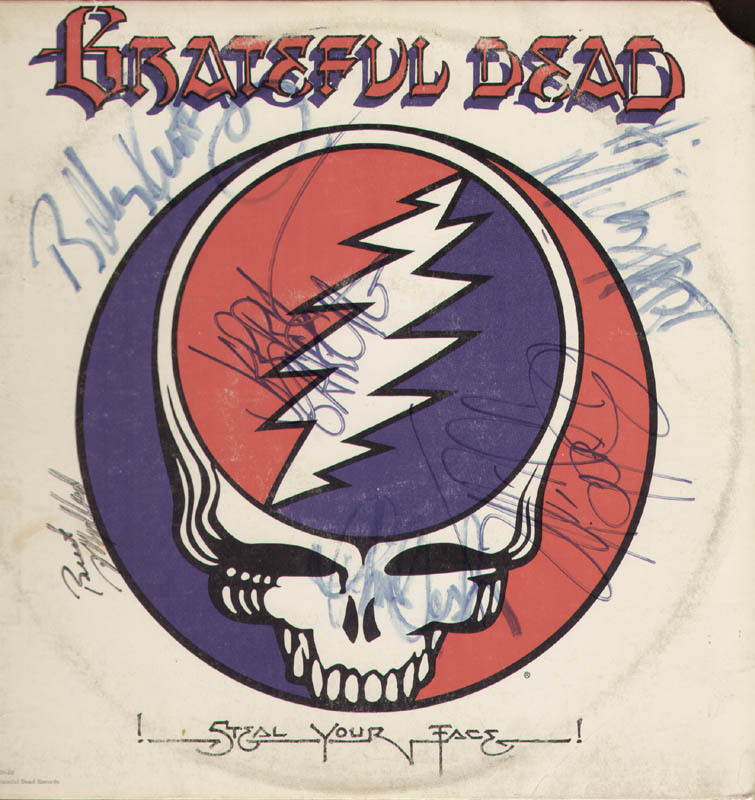 Some of the regular performers whose careers were launched from the venue include The Jefferson Airplane, Santana, Big Brother and of course The Grateful Dead. 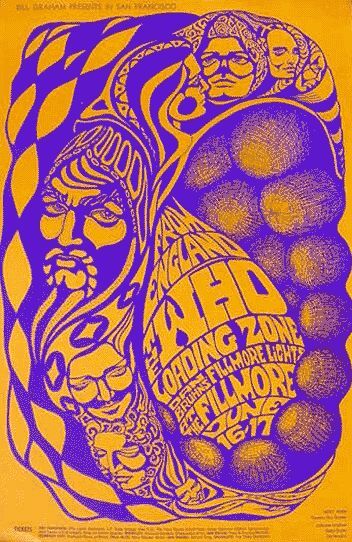 The Fillmore gave birth to a music and cultural renaissance that produced some of San Francisco's finest talent and a new wave of creative expression. 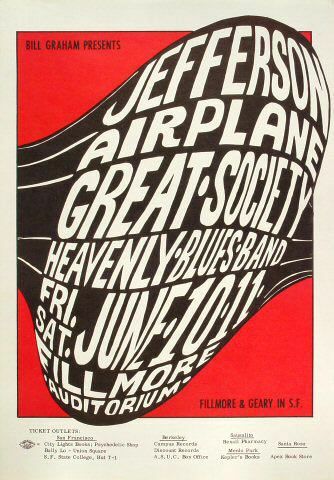 Some of the biggest names to have made appearances at the Fillmore include the likes of Jimi Hendrix, Muddy Waters, and Otis Reading. The art scene was also very well connected to the writers living in San Francisco at the time. Beat writers such as Allen Ginsberg, Jack Kerouac, and Neal Cassady, who were very influential in the 1950’s, carried their hedonistic-bohemian ideals into the 1960’s as active voices for the Summer of Love and Acid Test parties. Neal Cassady even joined Ken Kesey and the Merry Pranksters on road trips around the country acting as the driver for the “Magic Bus,” which was outfitted with funky, kaleidoscope art. Distinctive clothing also set members of the San Francisco counterculture apart from mainstream America as new fashion icons blossomed. Local innovators experimented with different techniques and materials, including, hand-painting, knitting, crochet, embroidery, repurposed denim, and tie-dye. Some of the most significant designers include Birgitta Bjerke (known as 100% Birgitta), Mickey McGowan (known as the Apple Cobbler), Burray Olson, and Jeanne Rose, who was a couturier for various rock and roll bands. 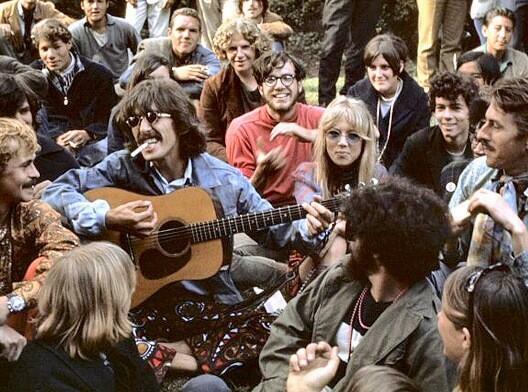 But the San Francisco Bay Area hippies weren’t always about peace and love. Tensions between the radical political reformists in Berkeley and the psychedelic proponents of the Haight-Ashbury sometimes clashed, leaving a mostly unified culture sometimes painfully divided. 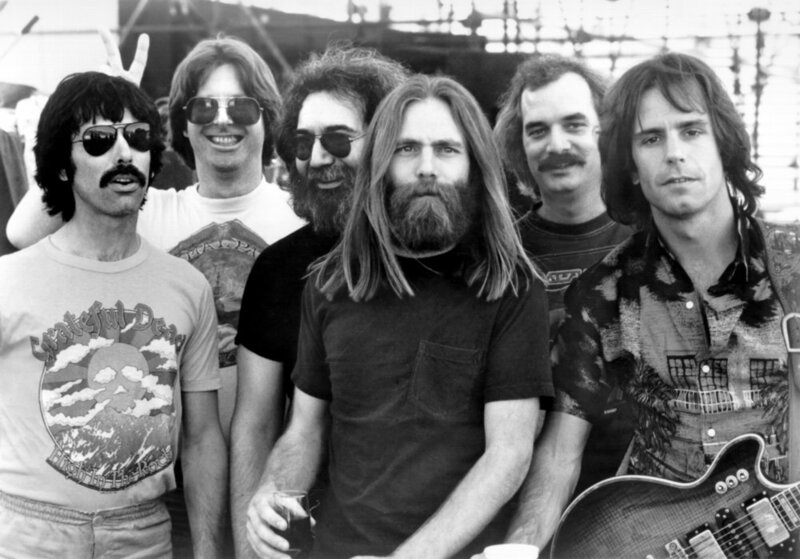 Most Grateful Dead band members had left San Francisco by 1968 when it was clear that San Francisco couldn’t keep up with the influx of people. The media had begun to sensationalize the hippie movement, which began to attract the misfits and heavy drug users that were floating around the country. The neighborhood quickly deteriorated with overcrowding, homelessness, hunger and drug problems as harsher drugs made their way onto the scene. Some members of the Dead were publicly arrested in October 1967, after a substantial amount of marijuana was seized in their apartment. 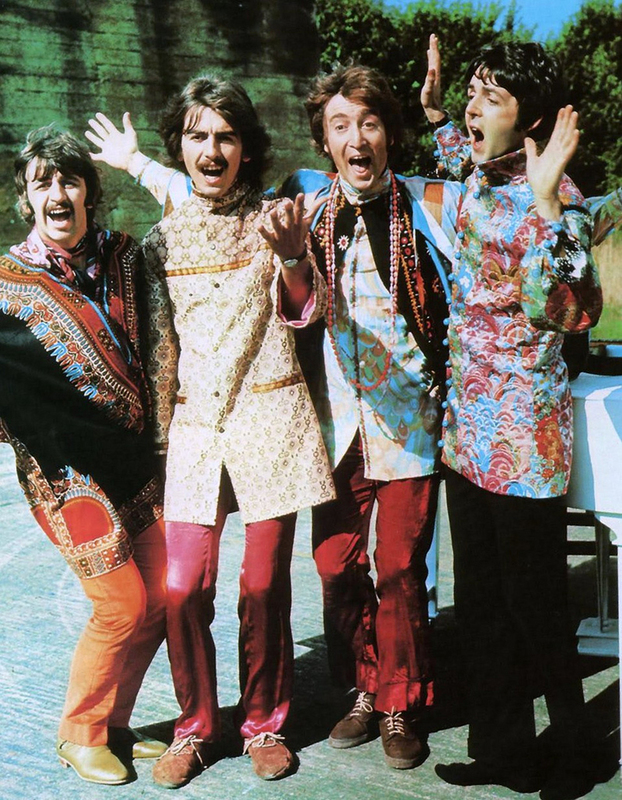 Some say this date marked the end of the Summer of Love. 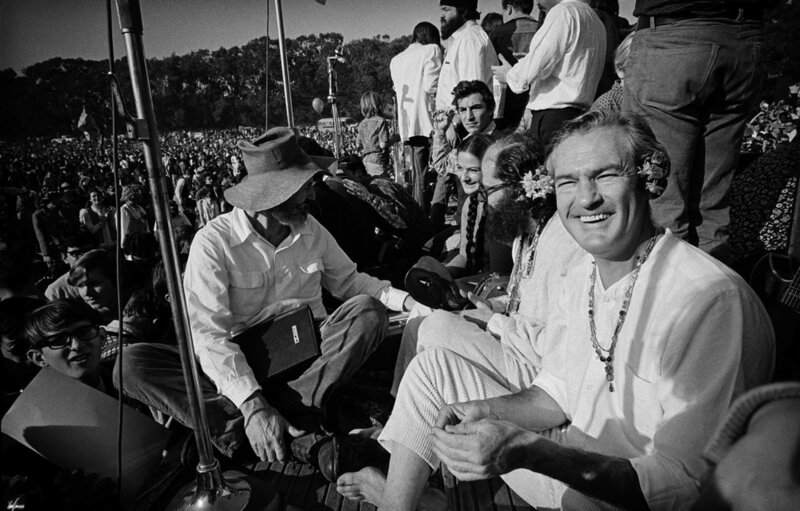 A mock funeral procession was held in Buena Vista Park, and aptly dubbed “The Death of the Hippie.” Counterculture leaders wanted the media to stop romanticizing the hippie movement, claiming it was not a movement at all. But even as the funeral procession began, the impacts of the Summer of Love had already become well entrenched. The innovative, progressive, and forward-thinking ideals can still be seen in San Francisco today. It’s hard to imagine a world without the impact of the recent technology boom in Silicon Valley with leaders such as Tesla, Apple, Facebook and Google shaping the culture of our planet. The 50th Anniversary Concert for the Summer of Love took place in Golden Gate Park in June 2017, drawing thousands of participants that filled the park to the brim. Just throes away from the DeYoung Museum that showcased a Summer of Love exhibit from April to August, thousands of youths were just as eager to come together as they were in 1967 to enjoy live music and relax amongst the familiar plumes of marijuana smoke.